Look at those incredible practical effects, though. The four-minute video documents all the action scenes from the film as it was shot — before any CGI or visual enhancements were added. The resulting scenes are no less exciting than what viewers saw in theaters with trucks crashing into trucks, cars flipping over in a blaze of fire, and riders jumping off speeding vehicles across the Namibian desert (where Fury Road was primarily shot). 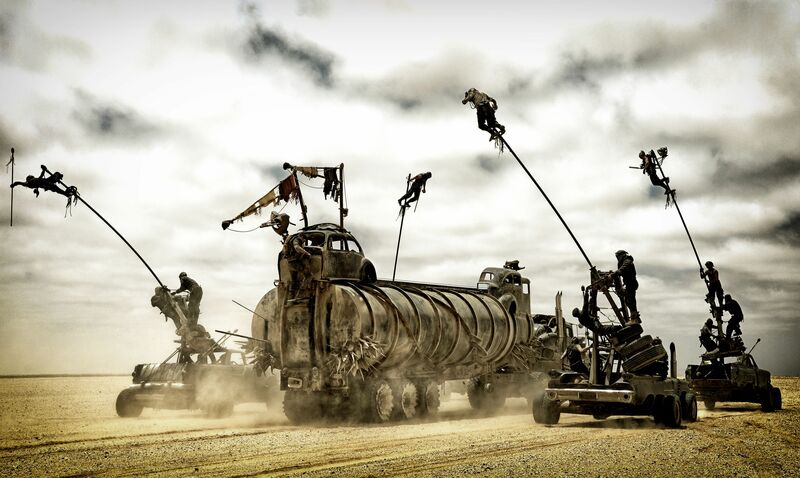 Mad Max: Fury Road was as much a physical exercise of twisted metal and high-speed mechanical acrobatics as it is a benchmark for action cinema. Mad Max: Fury Road famously lost the Academy Award for Best Visual Effects in 2016 to Ex Machina, but considering how much of the film was practical, it would be akin to Usain Bolt losing to Michael Phelps in swimming; it’s two completely different competitions.